The Daily Vote – Who has been the worst managerial appointment this season? It doesn’t matter whether you’re a title chasing club with millions to spend or one that’s struggling to stave off relegation, the most important decision for any Premier League club is the man they appoint as manager – so why have so many teams got it so horribly wrong this season? Even we could have told you that some of the managerial appointments were destined for disaster. Did anyone except the most nostalgic Geordie really expect Keegan to stage a Second Coming at Newcastle? 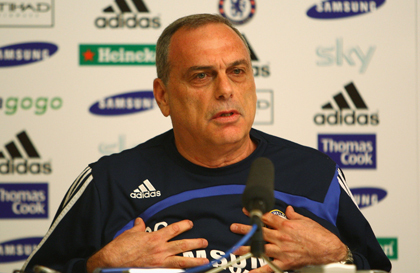 And, has Roman Abramovich’s decision to get rid of the outspoken Mourinho for the more oligarch-friendly Avram Grant paid off? Then there are clubs that have ditched early mistakes only to replace them with equally inept faces a la Fulham and those that made rash decisions too early like Wigan. Click through to vote for who you think has been the worst from a shortlist of baffling managerial selections this season.